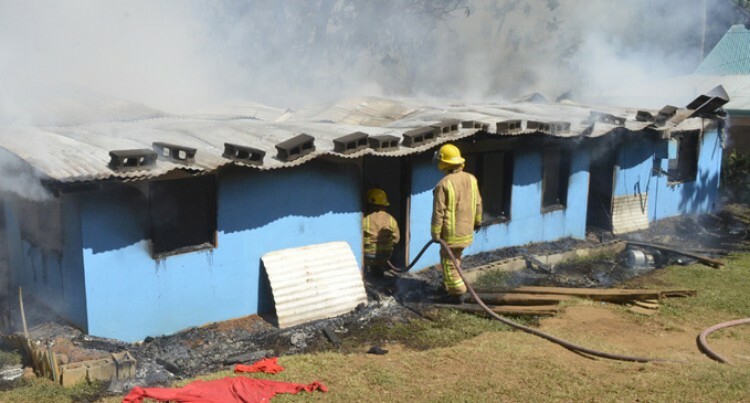 An early morning inferno yesterday has made a family homeless in Sabeto Village in Nadi. And relatives have taken the family into their homes after watching their three-bedroom concrete home fully destroyed in the blaze. Daughter-in-law Ane Lomawai was in tears after the house she and her four children had called home was destroyed. “I moved to this house after getting married in 2006, managed to bring the children up at their grandparent’s home,” she said. Ms Lomawai said she was preparing breakfast when her sister in law noticed something burning. “We thought it was from the firewood outside kitchen but it was from our bedroom and I still did not know how it started,” she said. Neighbour Saiasi Nalulu, who lived a stone’s throw, came quickly to the rescue but was helpless as the flames, fanned by strong winds, quickly engulfed the house. “I was at home when I heard about the fire and ran towards their house to see if everyone is safe. I went straight into the kitchen and turned off the gas cylinder and took out the flat screen TV,” he said. National Fire Authority chief executive officer John O’Connor said investigation was continuing on the fire. The NFA is pleading with the public to take the needed fire preventative measures.